backdrop of rolling hills and the sparkling ocean. Dusky and Doubtful Sound) all in one day! green hills, Wellington is New Zealand's capital city. away bars, quirky cafes and award winning restaurants. 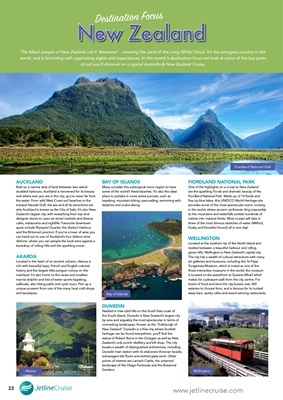 of call you'll discover on a typical Australia & New Zealand Cruise.